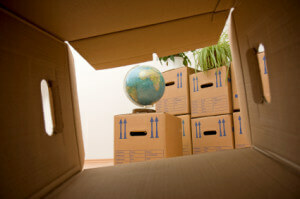 Packing is one of the most essential elements when it comes to a successful relocation experience. If your items aren’t packed efficiently, securely, and on time, you may find yourself running late, or worse, with damaged belongings. Instead of trying to deal with the hassle of packing your own moving boxes and cartons yourself, turn to the packing services experts at All Around Moving & Storage. We can take care of all of the hard work for you, and our full-service packing specialists use the latest in moving supplies to ensure your that your items arrive to their destination in perfect shape. No matter what types of items you need packed, we have packing and crating solutions available to help. From small everyday household items, to large heavy commercial machinery, there’s nothing that our packing services professionals can’t handle, and we do it all at great prices. When you contact All Around Moving & Storage for our packing services, you’ll deal one-on-one with an experienced mover who cares about getting your items to their destination without being damaged. We’ll evaluate all of your items, including any fragile or delicate items and antiques, in order to create a customized action plan. From there, we’ll work with your specific relocation needs and show up at your home or business at a time that’s convenient for you. Using professional-grade moving supplies, our team will carefully pack all of your belongings, clearly mark each moving box or carton, provide you with a complete inventory, and we can even load your items and transport them for you. If you find that you need extra space after our packing and crating experts have taken care of your items, keep in mind that we also offer warehousing and storage options as well. Contact All Around Moving & Storage for the best in packing services, including packing and crating. Call 734-941-2280.